Two separate tracks of potential new U.S. sanctions against Russia, if adopted in full, portend a sharply more restrictive regime of U.S. trade and financial restrictions on Russia. Taken together with the complex matrix of existing sanctions and export controls against Russia, these new measures could lead to a near complete trade embargo on most US-Russia trade. In the US Congress, a new bill – dubbed “Sanctions from Hell” – aims to impact a range of existing trade while escalating sanctions against Russian companies and individuals, which have already roiled Russian and European markets. Separately, the Department of State will begin unfolding certain mandatory sanctions under the Chemical and Biological Weapons Control and Warfare Elimination Act (CBWA) in response to the attempted assassination of a Russian exile in the UK. Whether the Trump Administration applies the full range of measures allowed for under the CBWA, and the Congress adopts measures under consideration as currently drafted, will depend as much on domestic politics as to how the Putin government responds. While there are opportunities and options for both tracks to be pared back to something less punitive, there is the potential that the Administration, by exercising its discretion to take a softer approach under the CBWA, may lead Congress to add on more onerous provisions into the existing bill. 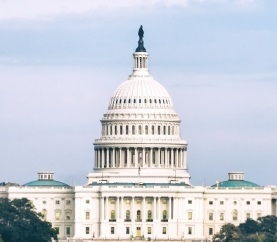 At this time, the actual impact on U.S. and international companies is hard to predict pending further clarification by the Administration and some early indications of how soon Congress intends to move to adopt the new bill. When the Administration imposed unprecedented SDN blocking designations on key Russian allies of President Putin, it also sought to ameliorate the impact on broader markets through extended wind-down licensing. If that approach continues, these more targeted measures may end up having only collateral impact on the activities of U.S. and EU companies. Brown Rudnick’s OFAC compliance practice is monitoring developments in this area and will provide further updates as events warrant; please do not hesitate to contact us in the meantime for further information or to discuss possible implications of these sanctions on your business activities. The Defending American Security from Kremlin Aggression Act (DASKAA) recently put forward in Congress, would expand existing Russian sanctions with new provisions that target investors in Russian energy and oil projects, as well as investors in new sovereign debt. Prominent Russians close to President Putin, and particularly their families and assets held by them, also face heightened sanctions measures. Separately, following a determination by the Department of State that Russia improperly used chemical weapons, the President has notified Congress that the Administration will impose a number of sanctions pursuant to the Chemical and Biological Weapons Control and Warfare Elimination Act. Perhaps the most significant of those is the imposition of a presumption of denial for all national security sensitive goods or technologies that are controlled by the Export Administration Regulations. Additional sanctions loom if the Russian government does not take corrective and cooperative measures within three months, which appear unlikely given the early reactions from Moscow. A Federal Register notice marking the implementation of these sanctions is expected on or around August 22, 2018. The Defending American Security from Kremlin Aggression Act (“DASKAA” or “the Act”), recently introduced in the Senate, seeks to strengthen NATO, combat international cybercrime, and impose additional sanctions with respect to the Russian Federation. The bill is sponsored by Senator Lindsey Graham (R-SC) with bi-partisan co-sponsors Senator Robert Menendez (D-NJ), Senator Cory Gardner (R-CO), Senator Benjamin Cardin (D-MD), Senator John McCain (R-AZ), and Senator Jeanne Shaheen (D-NH). The additional sanctions most notably target Russian oligarchs, the Russian energy sector, and investment in new Russian sovereign debt. Dubbed the “sanctions bill from Hell” by sponsor Senator Lindsey Graham, DASKAA, if adopted, would expand the Countering America’s Adversaries Through Sanctions Act of 2017 (“CAATSA”) with five new provisions. CAATSA sharply escalated US sanctions against Russian elites, implemented by President Trump earlier this year through a number of SDN designations of wealthy Russian nationals that have caused major economic disruptions for several large Russian-owned companies. Persons, including financial institutions, who engage in “significant transactions” with persons described in paragraphs (1), (2), or (3). New Section 236 imposes sanctions with respect to transactions related to investments in energy projects supported by Russia. Specifically, the President “shall” impose five or more sanctions with respect to a person that is determined to have knowingly invested in an energy project outside of Russia: (1) that is supported by a Russian parastatal entity or an entity owned/controlled by the Russian Government; and (2) the total value of which exceeds (or is expected to exceed) $250,000,000. New Section 237 imposes sanctions related to crude oil development inside Russia. Specifically, the President “shall” impose five or more sanctions if the President determines that a person knowingly sells, leases, or provides to Russia goods, services, technology, financing, or support: (1) any of which has a fair market value of $1,000,000 or more; or (2) that have an aggregate fair market value of $5,000,000 or more during a 12-month period. “Goods, services, technology, financing, or support” is defined as anything that could directly and significantly contribute to Russia’s ability to: (1) develop crude oil resources located in Russia; or (2) produce crude oil resources in Russia (including assistance in construction, modernization, or repair of infrastructure that would facilitate the development of crude oil resources located in Russia). The requirement to impose sanctions does not apply to maintenance of projects that are ongoing as of the date of enactment of the Act. The President is required to issue clarifying guidance on this provision within 90 days of enacting the Act. These regulations will: (1) clarify how the “ongoing projects” exception under subsection (c) will be applied; and (2) list specific “goods, services, technology, financing, and support” covered by subsection (b). New Section 238 prohibits transactions by U.S. persons relating to new sovereign debt of Russia. New debt is that which is issued on or after the date that is 180 days after enactment of the Act. Further, Section 238 blocks all transactions in all property and interests in property of eight (8) Russian financial institutions if such property/interests in property ever come within the U.S. The eight banks are: (1) Vnesheconombank; (2) Sberbank; (3) VTB Bank; (4) Gazprombank; (5) Bank of Moscow; (6) Rosselkhozbank; (7) Promsvyazbank; and (8) Vnesheconombank. CAATSA Section 225 -- such report should describe the foreign persons that the President has determined have knowingly, on or after August 2, 2017, and before the date of the report, made a significant investment in a special Russian crude oil project. CAATSA Section 226 -- such report should describe the foreign financial institutions that the President has determined have knowingly engaged in significant transactions involving significant investments in a special Russian crude oil project described in the Ukraine Freedom Support Act. CAATSA Section 228 -- such report should describe foreign persons that the President has determined have (1) materially violated, attempted to violate, or caused a violation of any license, order, regulation, or prohibition contained in certain statutes or Executive Orders; or (2) facilitated a significant transaction for or on behalf of any person subject to U.S. sanctions or any child, spouse, parent, or sibling of such a person. The State Department announced on August 8, 2018 that it would be imposing new sanctions on Russia pursuant to the CBWA, following a determination that Russia was responsible for the use of the “Novichok” nerve agent in an attempt to assassinate Sergei Skripal and his daughter. A Federal Register notice that is expected to be published on or around August 22, 2018 will shed further light on the sanctions and carve-outs discussed below. The 1991 CBWA requires the imposition of sanctions if the President finds that a foreign government has used chemical or biological weapons in violation of international law or against its own nationals. The Act has been applied twice since it was adopted – against Syria and North Korea. Following such a determination, the President is obligated under the CBWA to impose the following sanctions: (1) termination of foreign assistance to that country under the Foreign Assistance Act; (2) termination of arms sales under the Arms Export Control Act of any defense articles or services; (3) termination of any licenses for export to that country of any item on the U.S. Munitions List; (4) termination of all foreign military financing under the Arms Export Control Act; (5) denial of U.S. government credit or other financial assistance; and (6) prohibition of exports on national security-sensitive goods and technology. In a background briefing, “Senior State Department Officials” noted that the most significant of these sanctions would be the “imposition of a presumption of denial for all national security sensitive goods or technologies that are controlled by the Department of Commerce pursuant to the Export Administration Regulations.” Currently, such goods are subject to a case-by-case license determination, but following the imposition of these sanctions, such applications will be presumptively denied, primarily for state-owned or state–funded enterprises. The State Department expects this could have a significant impact inside Russia as it estimates that around 70 percent of Russian companies are state-owned or funded enterprises and around 40 percent of the Russian workforce is employed in them. “National security” items captured under this category includes a long list of goods ranging from aircraft gas turbine engines to a variety of electronic equipment. That said, State Department officials also noted that they expect certain sector specific carve-outs to permit continued case-by-case licensing – the ones noted included (i) space flight activities, (ii) commercial aviation safety-related activities, (iii) exports to wholly-owned U.S. subsidiaries and other non-Russian companies in Russia, (iv) deemed export licenses for Russian nationals employed by companies in the United States, and (v) an undefined but broad range of other commercial items exported for “purely commercial” end users. The most far reaching and potentially damaging of the second stage sanctions would be the broad scale export restrictions, which have the potential to largely end exports from the US to Russia, and taken together with the rest of the existing sanctions and export control regime in place, would effectively place Russia under a comprehensive trade embargo. In the two previous instances where a nation state was determined by the State Department to have employed chemical weapons, the U.S. adopted only a partial set of the sanctions mandated (in the case of Syria), and took no measures at all (in the case of the 2017 North Korea assassination of the half-brother of Kim Jung Un using VX). In the case of Syria in 2013 in the aftermath of the Sarin attacks against the village of Ghouta that killed hundreds to thousands of civilians, the Obama Administration implemented the minimum of three measures – (i) prohibiting U.S. banks from making loans to the government of Syria, with a carve-out for food and agricultural products; (ii) an export ban of all goods and technology; and (iii) a suspension of landing rights for airlines owned or controlled by Syria. While the Administration could follow either of those approaches with Russia, doing so against the backdrop of DASKAA may raise the likelihood that Congress adopts the draft bill as it is – which would entail a significant escalation - or ends up adding even tougher measures.